The stats are in and here are the top 10 most popular dog breeds in the U.S. There are more than 2,800 entries this year, including popular Biggie the pug, a Lhasa apso from Hawaii who surfs with his owner and the nation’s No. 1-ranked qualifier last year, Grant the black cocker spaniel. 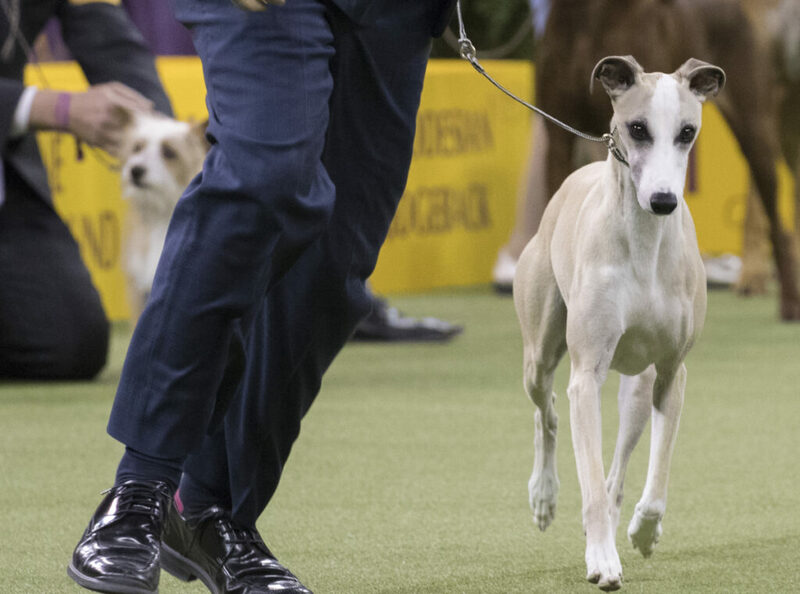 Similar to greyhounds but smaller, whippets have tremendous acceleration and can sprint at 35 mph and up. Whiskey has already won the National Dog Show and the prized American Kennel Club National Competition. Only Sadie the Scottish terrier in 2010 and Sky the wire fox terrier in 2014 have taken those two and Westminster.